This is a continuation of yesterday's post about All the Light We Cannot See, which we read in our Catholic women's book club last year. I said in that post that I would write about the book we read, and also about another book by the same author. This is the other book. 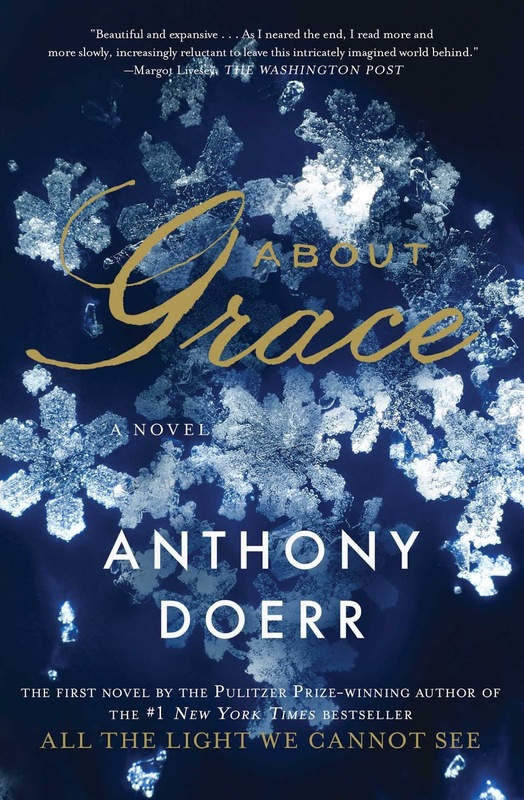 In Four Seasons in Rome Anthony Doerr writes about being disappointed in a New York Times review of his first novel, About Grace. The review includes the sentence, "Doerr's interest in nature is so obsessive that the whole equation of man in nature becomes heavily skewed in favor of the latter, producing fiction of rapturous beauty but of an oddly cold, uninvolving nature, as if it were enbalmed in its own lustrous style." When I read this I laughed because that is one of my favorite things about Doerr's books. Doerr's novels are different than other novels because he steps over some invisible line that demarcates what ought and ought not to be done in novels. He doesn't follow the rules. And what's good about this is that when he steps over that line, he doesn't do it because he wants to push the envelope in some daring way that will impress everyone, he does it out of love for his subject. He's telling you a story but there is snow in the story, and "Look, look at these snowflakes! Let me tell you about these snowflakes!" Or mollusks. Or radio waves. He has the kind of enthusiasm for what he is writing about that you find in the best of teachers--the teachers who make you love some subject for which you formerly had nothing but disdain. When David Winkler, the protagonist of About Grace is nine, he has a dream about a man being killed by a bus, and one day when he is walking with his mother, the dream comes true. These premonitory dreams occur at intervals in his life, but David never tells anyone, and he grows up a very private and solitary man. He works for the National Weather Service in Anchorage, a rather private and solitary kind of job. He has friends, but no close friends. And I think that this is one reason why the NYT reviewer sees the novel as cold. David's dreams have caused him to live at a remove from other people. Even when he marries, there is an invisible barrier between himself and his wife. At the age of 32, David dreams about his future wife. They meet, they marry (even though she is already married) and they move away, and have a baby, Grace. Then David has a dream about the death of his child--a death that is in part caused by his inability to save her. When he finds he can't change the events to come, he does the only thing he thinks might help. He leaves. He goes as far away from Grace as he can get, St. Vincent in the Caribbean, where he works as a sort of handyman at a resort, and spends the next 25 years trying and failing to find out if his daughter is alive. All this sounds rather dreary when told in such a bare bones way, but it's not. The story of David's life in St. Vincent and his relationship with the family that helps him is beautiful--and tragic--and redemptive. Finally, he gets some clue that his daughter might be alive, and he returns to the States to try and find her. The story of this search could be a book in itself. And getting back to the snowflakes--the entire novel from beginning to end is inundated with water: clouds, rain, snow, the ocean, an excess of water, a lack of water. Water flowing, and freezing. Water dangerous and salutory. And the most beautiful part is the snow. David's mother has a book, Snow Crystals by W. A. Bentley, a nineteenth century photographer of snow crystals. 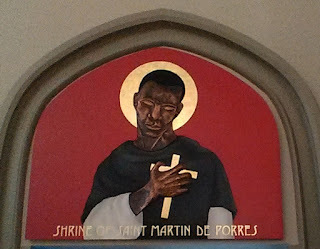 You can see his images here. His mother's and then David's fascination with these images are part of the beauty of this novel, and it is a beautiful novel about Grace, and grace. About Grace did not get near the attention that All the Light We Cannot See or Doerr's collection of short stories received, but in retrospect, I like it even better than All the Light. I think about it more. If I re-read one of them, this will probably be it. And before I finish, I have to at least mention Four Seasons in Rome: Twins, Insomnia, and the Biggest Funeral in the History of the World. This is a book drawn from Doerr's journal of his year in Rome with his young family. I'm only about a third of the way through, and I am finding it delightful. I don't want to be a third of the way through; I want it to go on much longer than it will; I want it to be three times as long as it is. I decided to read the book after reading Gretchen Joanna's review of it here. If you think you might be interested in reading the novel yourself, you might want to check out this very nice review. I'd never heard of this book, but you make it sound attractive. I'm definitely planning to at least look at Four Seasons in Rome, which sounds like it might be one of those "books I wish I'd written". Just last week I was reading a book about "Snowflake Bentley" to my son, and we were looking at pictures of snow crystals. I wasn't sure when I was reading the novel that he was describing a real book. I was so glad to find out that he was, and that I could see the pictures. what a lovely review! I hope to read his books one day! Thank you so much, Janet! I value your sensibilities and you have turned my mind around, and made me want to read About Grace. I just reread your review of About Grace, not aware that I had already read it a year ago. But there is my comment. My reaction is exactly the same as the first time. I hope after this reading I might retain the "takeaway" and get the book?? I also tried The Shell Collector but after reading half of it, I hadn't come across a story I liked, so I gave it away. I'm not much of a short story person. I just read this book. I didn't get the end and I am searching for an interpretation. Do you have any insights?